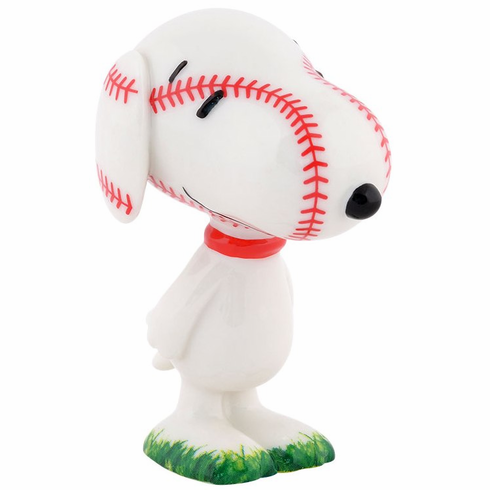 Peanuts Grand Slam Snoopy with a baseball head! Small porcelain figurine measures appx. 3" H x 2" W x 1.5" L.